2019 has been a year of trying new things here at Emissary. We’ve piloted unprecedented working relationships between our Emissaries and clients, have launched several new initiatives, and are radically transforming our product and user experience, we’ve moved to a super-sized new office, and it’s only April. We wanted to take a moment to share what we’ve been up to with the wider Emissary community to give some insight into the exciting opportunities we’re developing for you. With a typical Emissary to client relationship, the conversations have room to get detailed. A relationship forms, and that relationship allows for a back-and-forth over two months for both the benefit of the client, and the Emissary. Not so with Emissary Days, which could also be called Emissary speed dating. On an Emissary Day, we invite an Emissary to join us for a full day of meetings with a wide range of technology vendors. The Emissary is given freedom to offer whatever insight they think would be helpful to these companies, and the teams they speak with invariably walk away with new insight into old problems. We’ve found this to be exciting for our Emissaries, as they get to build their network of technology innovators, and these companies benefit from the experience and guidance of the executives we offer. Sales Kick-Offs (SKOs) are crucial for a growing company’s fiscal year. 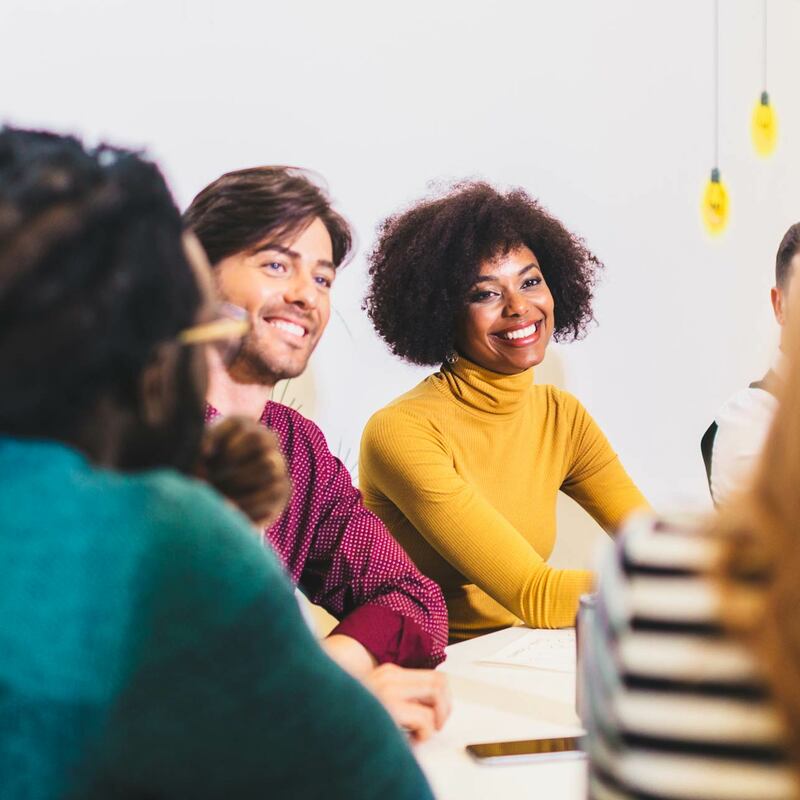 They serve to connect the entire team, which is often dispersed around the country, set the tone for the upcoming year, and define clear strategies for reaching growth goals. Companies want their teams to feel inspired about the year ahead, and empowered to do their best. Which is why SKOs are the perfect venue for an Emissary. This year, we attended the SKO for one of our newer customers – by all definitions an exciting company with an offering that is making waves. But we didn’t show up just to observe. Our client asked us to bring one of our best Emissaries along to launch the SKO, and offer priceless insight into the mind of a technology buyer. Our Emissary, Jim Fortner, former CIO and CTO of Procter & Gamble, served as the keynote speaker for the event. He expanded upon this company’s specific goal to transform their sales organization to a relationship-building enterprise rather than a transactional one, and shared his thoughts on why this is crucial. He also spent one-on-one time with key members of both the sales and product marketing teams to verify and refine their strategies. Our client was blown away by the value Jim had to offer, not just from the point of view of selling into Procter and Gamble, but also as they work to redefine their sales culture. As we’ve known all along, when our clients approach an Emissary with an open and creative mind, magic can happen. We’ve always believed that when we have the right audience, the impact of our Emissary’s insights will speak for itself. Spending just a few minutes with some of the executives in our community can transform an entire sales process for our customers, saving months of research and mitigating constant guesswork. So we thought it was high time to find a wider audience. Enter our first webinars. In our inaugural webinar, Selling into FinServ: the Future of IT in Financial Services, we had close to 200 eager registrants, over half of whom joined for an hour with a panel of three of our best Emissaries. We featured Swathy Vasudevan, Imad Samiulla, and Adam Cummings of Quicken Loans, Vanguard, and PNC Bank, respectively. Each of these Emissaries came with a different point of view, but clear trends emerged, and (not surprisingly) almost every one of our attendees stayed with us to the end of the webinar. Read about the takeaways. Our next webinar, Surviving Disruption: Selling into Retail, will feature two other rockstar Emissaries, Fred Pond and Johnathan Tate, highlight their take on the past, present, and future of technology in retail. Interested in joining us? Register here. We’re thrilled to be providing the world-class leaders we worth with a diversity of opportunities and platforms so that their knowledge can serve to empower others in the marketplace. As we continue to scale, we’ll be reaching out to greater numbers of Emissaries for a variety of opportunities. If you’re interested in working with us in this capacity, send us a note.